Diagnosed in 1992; initial mastectomy with prophylactic second mastectomy 2 years later. Four of six siblings in my family have been diagnosed with breast cancer, plus a niece and an aunt; three of four grandparents along with an uncle and various cousins have died from breast or other cancers at ages varying from in their 30s to late 70s. Over 30 years of publication editorial and production experience from print to electronic/http/pdf, mostly in scientific and nonprofit association field. Graduated with BA from University of Wisconsin, Madison. I was motivated to help research for treatment and prevention of this disease after my mother died at age 48 from breast cancer and it became clear that family history showed we were genetically predisposed to develop cancer of several types. I participated in walks, runs, fundraising and petitions, but wanted to get involved in a deeper and more lasting way. 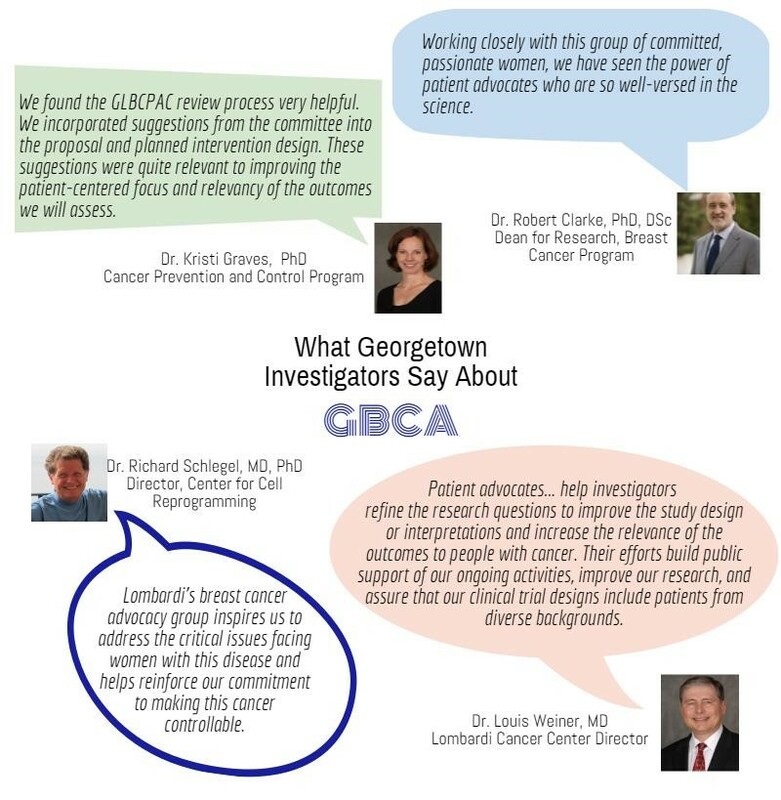 Once I finished advocate training, I began to use my editorial and publishing skills, especially those gained working with scientists in the process of publishing their research, in a group under the mentorship of an epidemiologist, analyzing breast cancer research articles. I began participating in conferences and advocacy groups, and progressed on to grant reviews, editing of proposals and an informational website. I feel I can contribute the most by participating on the front end of research, especially in triple negative and hereditary cancer. 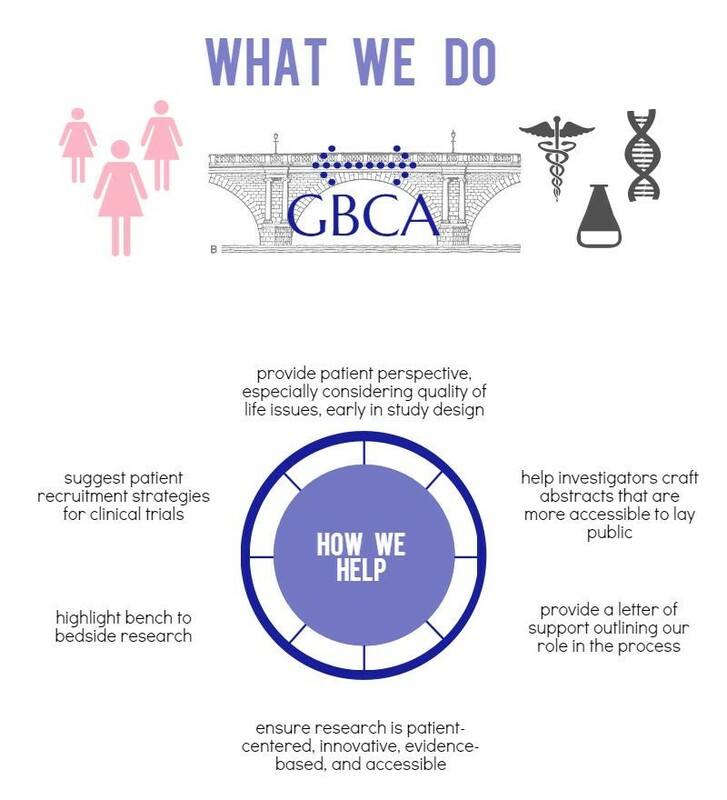 Most interested in breast cancer research from basic to translational, clinical trials, creating clinical trial consent forms and research reports that are patient-friendly, helping researchers write consumer-friendly abstracts and proposals, evaluating and rating proposals for feasibility, clinical trials for ease of patient participation. I also edit a cancer informational website and training programs. Lostumbo L, Carbine NE, Wallace. Prophylactic mastectomy for the prevention of breast cancer. J. Cochrane Database Syst Rev. 2010 Nov 10;(11):CD002748. doi: 10.1002/14651858.CD002748.pub3.